An interesting creative challenge with an innovative solution for the combined Ward and Barratt Homes showstand at Bluewater in Kent. 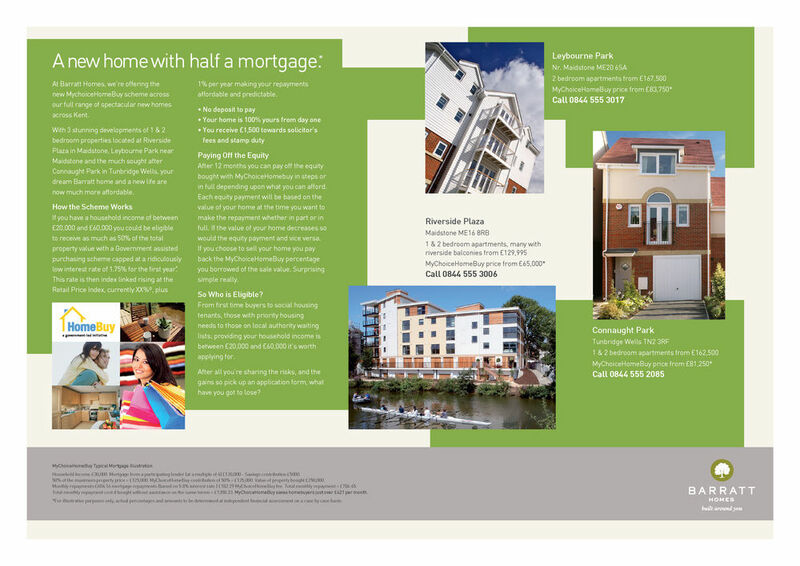 Two housebuilders with different target audiences combined in one 8m by 4m stand offering split equity mortgages via the new MychoiceHomeBuy Scheme. 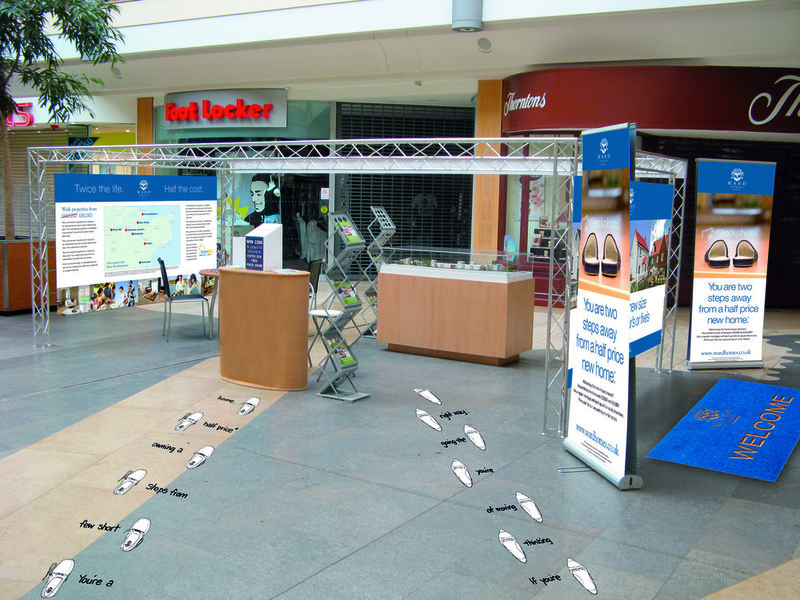 With a little inspiration from The Sterophonics track "Step on my old size nines" the main communications idea of Step into a new size one, two, three, four or five was created and worked into the exhibition panels for both clients showcasing the new build locations. Depending on which direction you approached the stand from depended on which brand you were first exposed to, and as most shoppers tend to walk past several times during their day's shopping both brands generated equal interest. As well as the stand and on-site literature, Toybox also suggested the use of removable floor media expanding the stand footprint beyond the paid 8m by 4m space at no additional cost. The project generated significantly more leads than expected for both Ward and Barratt and was deemed a great success.